Beaver Builder have the following built-in spacing defaults. Rows and columns have default margins and padding. An auto spacing feature for small devices is enabled by default. This feature reduces spacing automatically on mobile devices. This means the layout should look decent at all device sizes without any special effort at manual settings – unless you want to tinker. You can change the margins and padding of individual rows and columns, and you can change the margins of individual modules. You can set different values for each device size. You can change the global default settings, which are then used as the defaults in individual rows and modules. As of Beaver Builder 2.2, you can set global margins and padding values for each device size. By default, the desktop global setting propagates to all device sizes. You can disable mobile auto spacing or override it by setting your own values for small devices. In this article we'll describe a simple approach to adjusting margins and padding if you're new to Beaver Builder. For more finely tuned control over spacing and the details about how the final value is determined, see the troubleshooting article on margins and padding. As shown in the diagram below, the width and height of a border box apply to the content area. The padding, border width, and margin are added to that. Padding is inside the border; margins are outside the border. 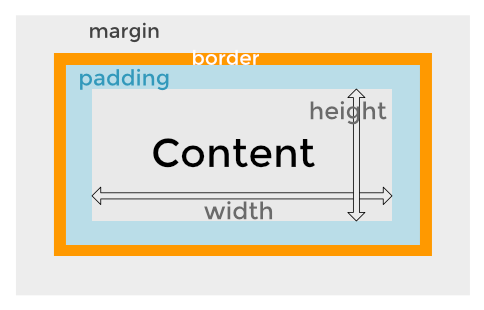 Exception: If the box-sizing property is border-box, the width and height properties include content, padding, and border. The interactions among the various ways to set margins and padding at various device sizes can get rather complex, but here's a recommended basic method for approaching it. Lay out your page first for large devices (desktop). As you get more familiar with how Beaver Builder adjusts margins and padding for mobile, you can switch to a "mobile first" approach if you want. Lay out your entire page before you start adjusting margins and padding, so you don't have to keep redoing them as you move items around on the page. Make adjustments to individual margins and padding for large devices on the Advanced tab of individual rows, columns, and modules. Tip: Beaver Builder modules have margins but don't have built-in padding. An easy way to increase padding for a module is to wrap it in its own column, then change the column padding. If you find that you're consistently making the same changes to margins and padding, you might consider changing the default global settings. See the Related Articles about default global settings and how to change them. Once you're happy with your settings for large devices, check the settings for tablets and mobile devices. Go back to the Advanced tab and click the icon next to the Margins or Padding section to change the view, as shown in the following animation. In Beaver Builder 2.2, clicking this icon opens Responsive Editing mode, which lets you edit directly in the medium- and small-device views. See the Related Article below about Responsive Editing Mode. By default, whatever value you enter for desktop is also used for tablets, but you can change set specific values in tablet view. For mobile devices, the auto spacing feature automatically reduces the top, bottom, left, and right margins in rows, columns, and modules. It also reduces the left and right padding in rows and columns. You can override auto spacing by entering a specific value in mobile view. See the Related Articles for more information about auto spacing and how to disable it. If margins and padding are not behaving the way you want, see the Related Article on troubleshooting margin and padding spacing.